For a really long time, I always thought salads consisted of some sort of leafy vegetables. I recently discovered that it can be whatever vegetable your heart desires. This is why I’m posting more salad recipes than before. I love tomatoes. I can eat them in just about anything. 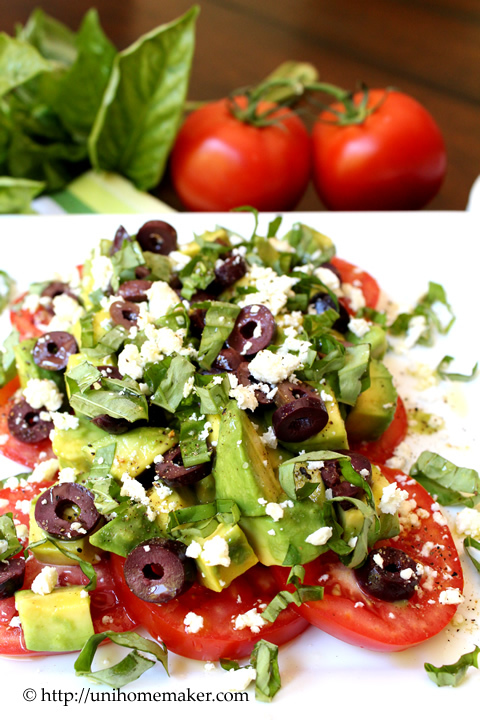 I came across this recipe and thought tomatoes and avocados sound like a really tasty combination for a salad.